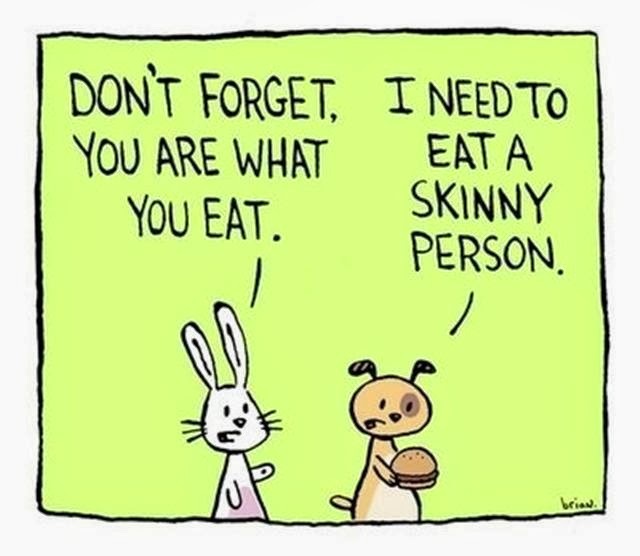 The old saying is true....You are what you eat! Plan Ahead. So critical - Failing to Plan is Planning to Fail! Certain fruits are high in sugar. Lowest sugar fruits are: apples, berries and pears. Next lowest in sugar are grapefruit, cantaloupe, oranges, plums and nectarines. Grapes are high in sugar - and ripe bananas as well. For weight loss, try to limit your breads, pastas, etc. after 3pm. Give your body time to burn it off during the day. Protein bars or shakes are a great substitute for one of your meals if you're on the go - be sure to check the sugar content of the bar - you want less than 10g - you want one that's high in protein as well. If you would like to calculate your food your food totals, the website http://www.fitday.com/ has nutritional values for thousands of foods. Here is a list of Proteins, Carbs and Veggies. Choose a portion of protein and carbs from each column to make a meal.